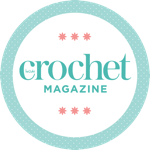 We at Inside Crochet are excited to meet Charles the caterpillar, Tawny the owl and Cactus the prickly pear, your brand new amigurumi friends from French designers Frog and Toad Créations. Each kit has everything you need including the pattern, a 50g skein of Lang Yarns Quattro, a 100% mercerised cotton, stuffing, a 3mm hook and safety eyes as well as a guide to basic amigurumi techniques. The designers have put simplicity uppermost with these characters, so they’re great projects to develop your confidence. You’ll be pleased to hear the patterns are available in English too!